Here we are going to show you how to get your app available for download on the PlayStore. What are you going to need ? First we are going to create a Google Play Account. Follow the link to create your account. Create account. 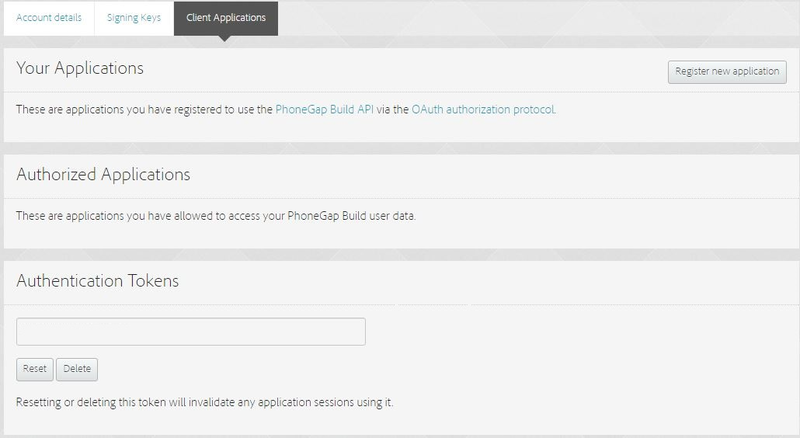 Then, we need to create the PhoneGap Build account to automatically build your apps and test them on your device. Click here ! Now let's assign the Authentication Tokens from PhoneGap to your app (So PhoneGap knows wich app to build). Go to Client Application tab. 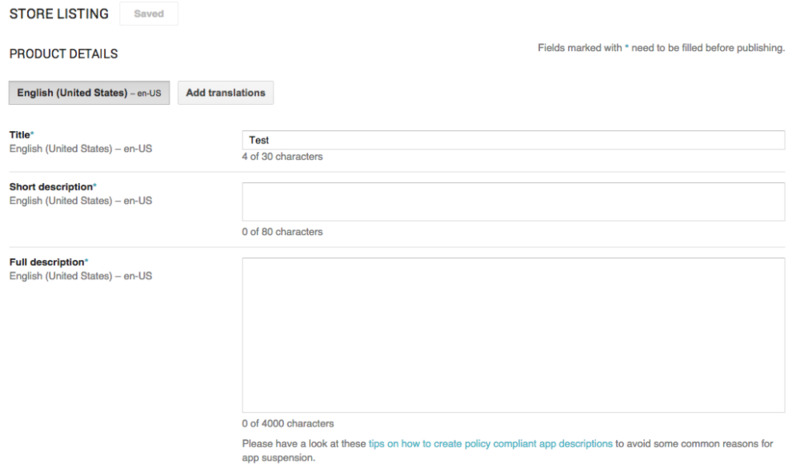 Go back to your App Settings on Joomprod and set your PhoneGap Token input with the token on PhoneGap. Ok, now let's download JAVA on this website : Download JAVA. Just one more download and it's over. Last thing we need is JAVA JDK, you can get it right there. Now you need to use JAVA and for that to work, you'll need to set an Environment Variables on your system. The JDK software is installed on your computer, for example, at C:\Program Files\Java\jdk1.6.0_02. You can move the JDK software to another location if desired. On the Advanced tab, select Environment Variables, and then create JAVA_HOME to point to where the JDK software is located, for example, C:\Program Files\Java\jdk1.6.0_02. You can add it to the file .profile or .bashrc or your current shell profile file (located in your home directory). Then, each time you open your shell it will be loaded. You should have a black windows on your screen now. The terms in red are the name you can change ! The terms in blue have to stay the same ! Don't change them. 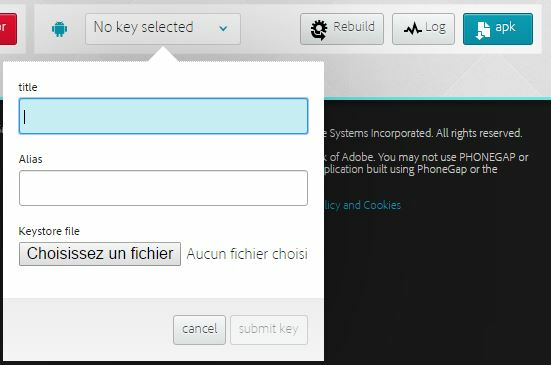 This example prompts you for passwords for the keystore and key, and to provide the Distinguished Name fields for your key. 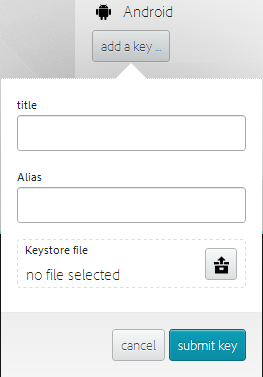 It then generates the keystore as a file called my-release-key.keystore. 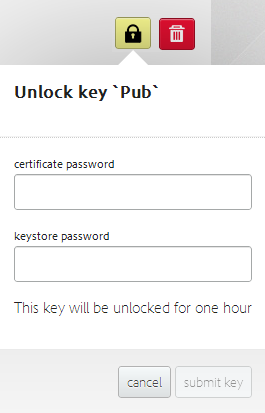 The keystore contains a single key, valid for 10000 days. The alias is a name that you will use later when signing your app. Go to your Account > Edit Setting > Signing Key's tab. Click 'add a key...', ensuring you use the same alias used when you generated your key. REMEMBER : The alias must be the same as the on you typed in the command line ! Compile your app in release mode to obtain an unsigned APK. You can do that by clicking the green button : Compilation on the app page. Build your app on PhoneGap. Enter your key infos if you havn't saved it yet, or select the key you saved from earlier. Last thing you want to do is download you apk by clicking the blue button ! Your .apk should have -release at the end of the file's name. Log into your Google Developer Console. 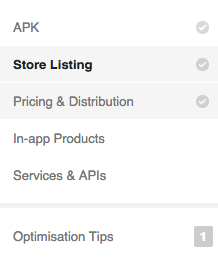 You can now give a title to your application and upload your apk you downloaded earlier from PhoneGap. Follow all the steps and when it's done, you can publish your app this is found at the top right hand corner of the console. 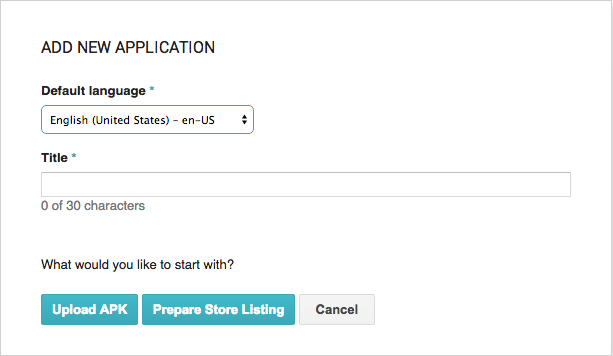 Once you have published, your app should be ready and live on the store in a matter of hours.